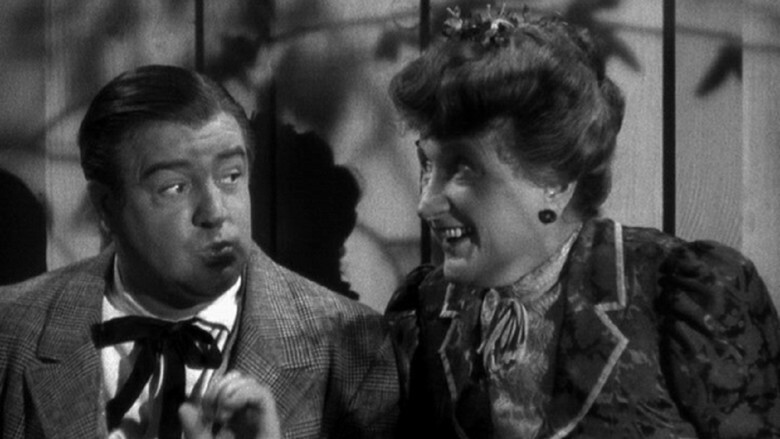 THE WISTFUL WIDOW OF WAGON GAP —–“Montana: In the days when men were men…with two exceptions.” Abbott & Costello and the delightful Marjorie Main provide chuckles in this fluff. Supporting cast and direction aren’t inspired, and the material itself nothing special, but in the hands of the comedy team and their co-star, the most is made of it. There’s a great sequence, reminiscent of those venerable 3 Stooges routines, where Costello has a tough time eating his soup, due to a frog, who conveniently submerges every time Lou tries to tell Bud about it. Likable 78-minute foolishness brought in a unashamed $2,625,000 back in 1947. Directed by Charles Barton. You don’t see Bud getting into these fixes.